In the readition of the bestselling Chaos and A Brief History of Time, here is a science book with mainstream appeal. Proponents of artificial intelligence maintain that eventually a computer will be able to do everything a human mind can do, but Oxford University Professor of Mathematics Roger Penrose explains his view that there are facets of human thinking that can never be emulated by a machine. Drawings throughout. 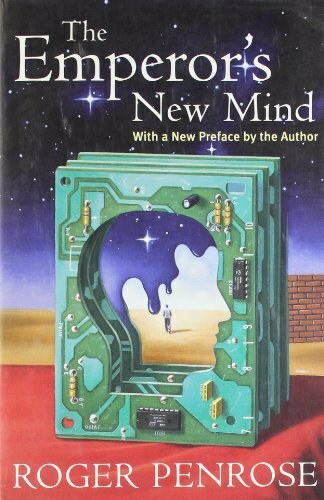 Some love it, some hate it, but The Emperor's New Mind, physicist Roger Penrose's 1989 treatise attacking the foundations of strong artificial intelligence, is crucial for anyone interested in the history of thinking about AI and consciousness. Part survey of modern physics, part exploration of the philosophy of mind, the book is not for casual readers--though it's not overly technical, it rarely pauses to let the reader catch a breath. The overview of relativity and quantum theory, written by a master, is priceless and uncontroversial. The exploration of consciousness and AI, though, is generally considered as resting on shakier ground.